I am such a fan of dramatic spaces and Kelly is the Queen of dramatic spaces. I really loved her book and recently ran across her site via Abby and am so glad she pointed me in the right direction. 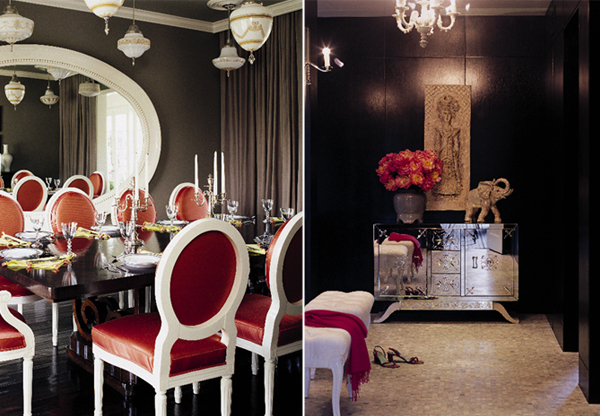 Just opulent, dramatic spaces in the portfolio here… Amazing use of textures and color. I absolutely adore Kelly Wearstler! Her designs are sublime… her work is spreading like wildfire since Top Design! Oh I love her dramatic interiors and her color choices, I actually picked up her book this weekend!